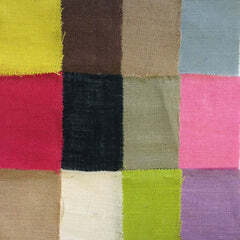 Interlock knit lining fabric is 58/60" wide, light weight (approx. 100 gsm) and has a slight mechanical 2-way stretch. 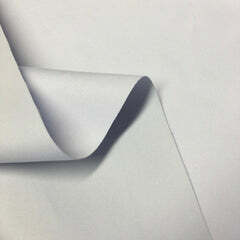 The fabric has both a smooth finish and flowing drape, making it perfect for all types of garment lining applications. 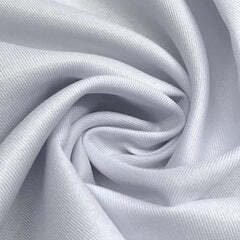 The smooth finish on the fabric also has a natural, light sheen. 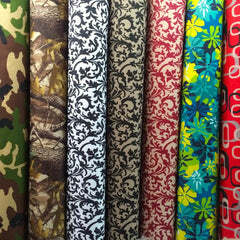 It is also largely opaque and 100% polyester, making it perfect for printing and dye sublimation. This fabric is great for apparel, such as blouses and shirts, and it is especially great to use as lining for suits, jackets and other apparel. Its thin nature, also allows you to stay cool in the summertime. You can even use it to create wonderful crafts as well. Interlock is also used in event decoration such as swagging and ceiling drapes.